It’s always a pleasure to get to know more about the people we watch on the silver screen, it’s an even bigger pleasure when we get to go beyond that and ‘meet the family’. Danny DeVito has proven to be quite the interesting guy, but today we have set our eyes on a more than a couple of people who are just as interesting. Let’s check out Danny DeVito’s wife and kids. 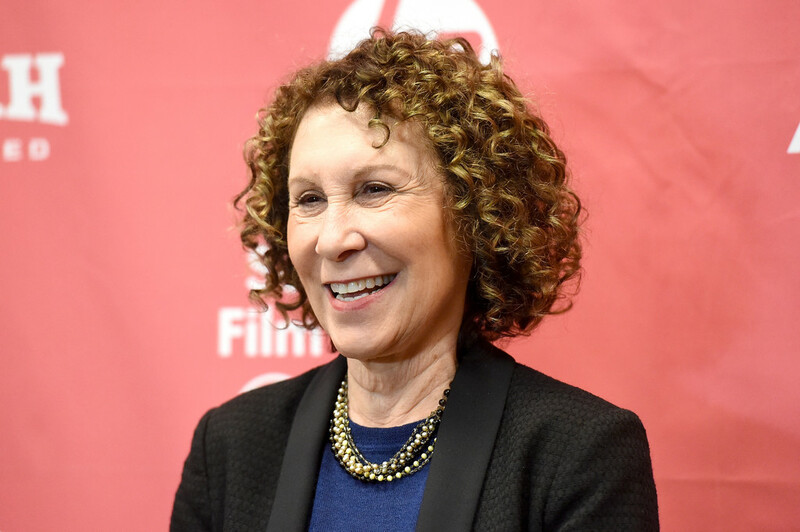 You may have seen her in on your TV screen countless times, she even starred in ‘Matilda’ as Danny DeVito’s wife, Rhea Perlman has been married to the actor since 1982. Funny story, Rhea moved in with Danny just two weeks after meeting him at a single performance of the play ‘The Shrinking Bride’ in 1971. She actually went to see a friend perform, but Danny must have caught her most of her attention on that stage. Apart from being a movie and TV actress as well as a producer, DeVito’s wife is also the author of an animated children’s, 6 book series, titled ‘Otto Undercover’. Now to the juicy part, in March 2013, the couple shocked everyone by announcing that their 30 year marriage had come to an end. They were and still are one of Hollywood’s most stable couples so no one saw that coming at all. Apparently someone had a wandering eye and a smooth tongue, we aren’t going to tell you who, but it was Danny. There’s only so much an undervalued person can take before they reach their breaking point and DeVito’s wife reached hers. That must have been a wake up call for the actor, because he summoned his A-game and fought for his woman. After 5 months of what we imagine to be begging, grovelling and wooing, Rhea took him back and their love was a-new. The world breathed a sigh of relief, 30 years of marriage going down the drain is too much proof that there’s something very wrong with the world. You know who else must have been greatly relieved? Their children, yes folks the couple has three kids and that is a topic for the next subheading. 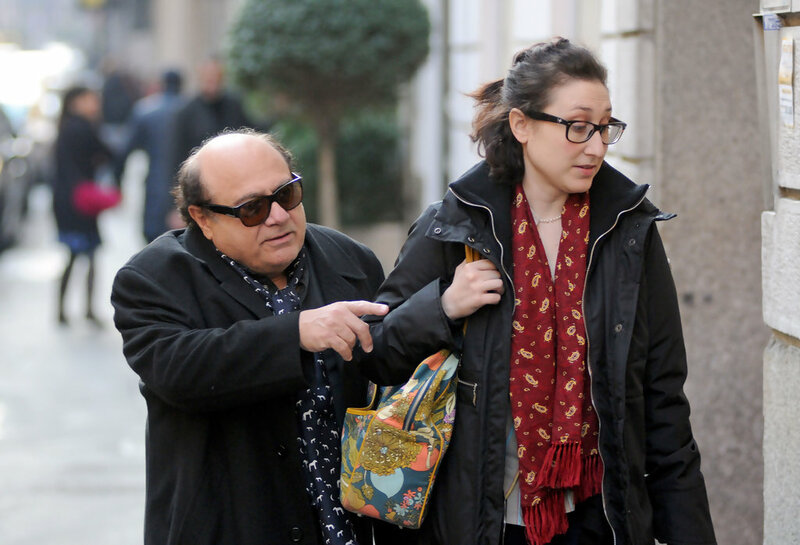 Devito’s wife and him have three kids together, Lucy Chet DeVito, Grace Fan DeVito, and Jacob Daniel DeVito. One or two of them have even followed in their parent’s ‘acting’ footsteps, but we aren’t going to spill the beans on who, just yet. Let’s meet the kids. She was born in March 1983, just a year after her parents nuptials and you already know who they are. This particular DeVito went down the same path as her parents. Her first few roles in film were un-credited, but she worked her way up and also branched into TV. She is more popularly known for the movie ‘Leaves Of Grass’, which was actually her first major movie role as well as the TV show ‘Deadbeat’. 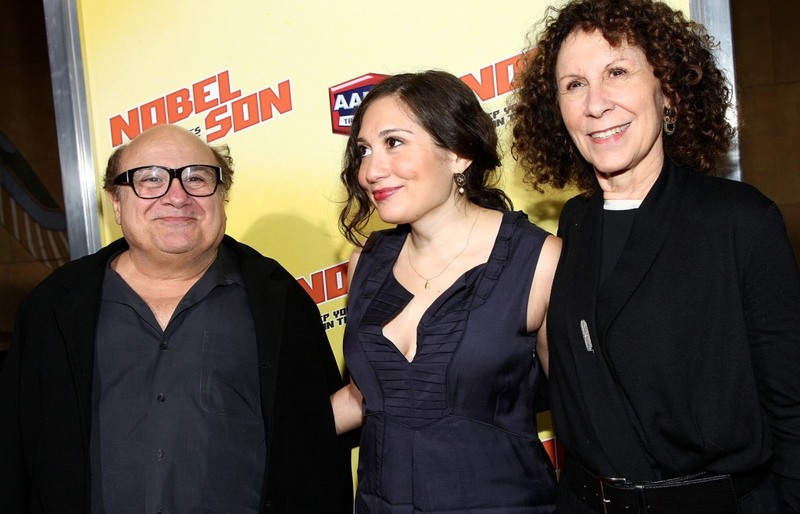 The first DeVito child has also dabbled in a bit of on-stage work, in 2008, she played the role of Anne Frank in a production of ‘Anne Frank’ at the Intiman Theater in Seattle, Washington. No doubt she is will soon carve her niche and grow bigger and better in show business. Danny’s second daughter was born two years after her sister in March 1985. Grace is an upcoming producer, looking up to her mother, Rhea, who is an experienced producer of movie shorts and a television series, also her aunt (Rhea’s sister) Heidi Perlman who is already quite accomplished in the field with sitcoms like ‘Cheers’ and ‘Fraiser’ in her portfolio. The middle child is currently dabbling in that and we are watching that space for something great. 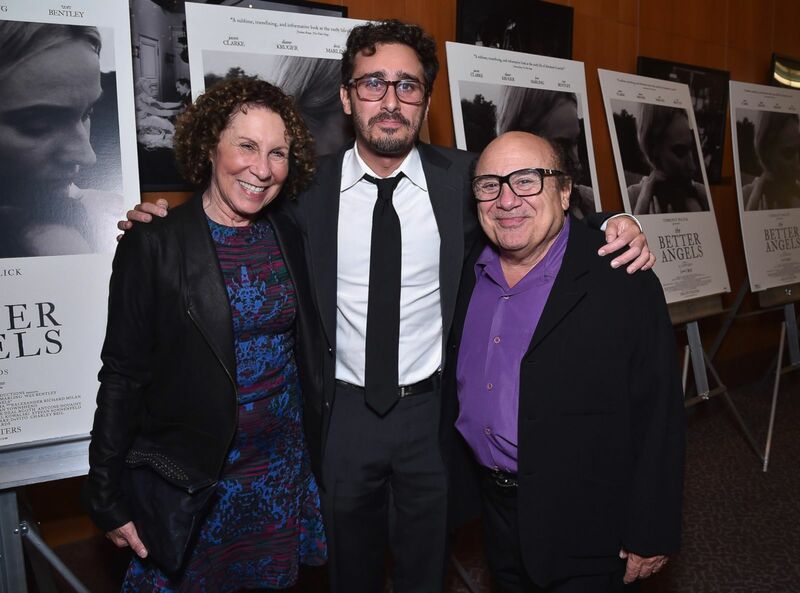 He’s the only male and the last child in the fold, he was born in October 1987 and he is currently an actor under the name Daniel J. Devito. The young actor doesn’t quite have his acting bearings yet, with only one movie to his name, which he featured in back in 2005. Despite this he has proved that he can have the best of both ‘parents’, more recently, in 2014 he produced 3 movies; ‘The Better Angels’, ‘Quicksand’ and ‘Fair Chase’. Then this year he produced the movies ‘Curmudgeons’ and ‘St. Sebastian’, which he just completed. Way to draw water from both wells of wisdom Jake. Needless to say, Danny’s is an entertainment bred family.